For more than a decade, Hailed by MTV as “Game music’s eclectic daredevil”, IFMCA award-winning and BAFTA Nominee composer Olivier Derivière has been scoring music for animation, films and video games and is widely acclaimed for both his composition and innovative approaches to connecting music with the game experience, including the groundbreaking titles, Assassin’s Creed IV Freedom Cry, Remember Me. 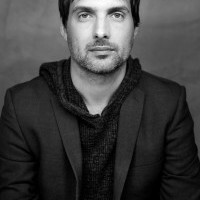 Driven by his passion to provide players with a unique musical experience that truly reflects each game, both musically and directly in sync with the gameplay itself, Derivière often blends traditional musical elements with unorthodox sound techniques in pursuit of creating an authentic score that fully immerses the player in the gameplay and story through his neo-classic music style. Multi bafta-nominated composers Olivier Derivière (Get Even, Remember Me, Assassins Creed IV: Black Flag – Freedom Cry) and James Hannigan (Red Alert 3, Dead Space 3, Harry Potter) discuss the state-of-the-art in music for videogames. The early days of videogame music promised much - a new form of music – perhaps even a new art form. Integrating music composition deeply with gameplay was an exciting new world of creative opportunity. So where did all the truly inventive ideas go? Is linear music plus a few standardised interactive techniques overlaid really the zenith of game music design? Game Music Connect co-founder, James Hannigan, was an acclaimed early innovator and proselytizer of interactive music composition whose extraordinary journey from the nascent days of highly flexible midi music to unbridled ‘quad-A’ linear orchestral scores furnishes him with a unique, historic and thoughtful perspective on the role, function and placement of music in games. Meanwhile, creating music for Get Even provided radical composer Olivier Derivière an apparently highly rare opportunity for a deep and early involvement with developer The Farm 51. 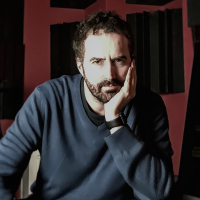 They trusted him to realise a unique vision for an intricate integration of music and sound design from the get-go which led to a recent Bafta nomination. But with the proliferation of today's middleware tools why is such an approach so rare?